This is a round up of my favourite things to eat in Ontario. I feel like Ontario is hitting its stride for yummy food right about now. The fresh produce is hitting the farmer's markets and grocery store shelves. The strawberries have been around for a couple of weeks, and now they are being joined by the cherries, and raspberries. There are also so many different greens - kale, spinach, chard, lettuce, etc., but I am always overwhelmed by them. I need to plan a meal around them knowing that I'm visiting a farmer's market. I'm looking forward to the peaches, melons, and corn. I don't like to buy the imported versions of these, since they really don't measure up to the fresh ones from Ontario. The last time I bought a cantaloupe, it had no flavour and was hardly orange when I cut it up, and the last time I bought packaged corn on the cob (like years ago), it was mouldy, so I said never again. We had fresh peas for supper this week and they were so good. I love the green and yellow beans, carrots, and new potatoes. Besides the chicken, beef, and pork that we can get from local farms, we also like Ontario lamb. I never thought I liked lamb when I was growing up, and the imported land from New Zealand that you get from the grocery stores never seemed very appealing, but then we moved here and had access to fresh local lamb and it's very tasty. If you are in Ontario and get the chance to have pickerel, have some. We fish for it (also called walleye) at Manion Lake, but you can get it around here too. I had some fried pickerel and fries for supper earlier this week and it was great! 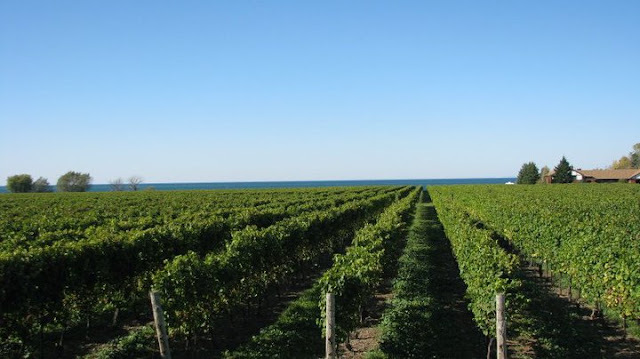 There are a number of good wineries in the Niagara region and in Prince Edward County. My two favourites are Southbrook and Konzelmann. 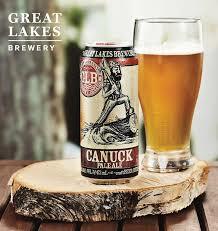 I have visited both of them a few times, and I often pick up a few of their bottles when I'm at the LCBO. Craft beer is a big thing everywhere right now. Usually we just pick up a random assortment but there are a few that we gravitate towards Sidelaunch, Great Lakes Beer, Collective Arts, and Muskoka Brewery.